Lines and Strokes helps young children to develop their confidence in the foundational strokes that improves their drawing. 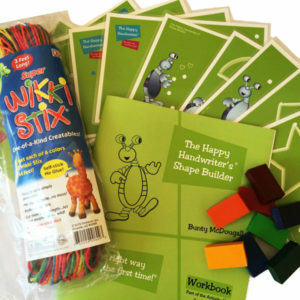 It is a must for pre-handwriting and motor skills development. Is your little one lacking enthusiasm about putting things down on paper? Possibly avoiding drawing, with concerns about fine motor skills? Lines and Strokes has arrived! The first of its kind, this unique approach promotes the development of the basic lines and strokes needed for drawing, shape reproduction and ultimately handwriting. 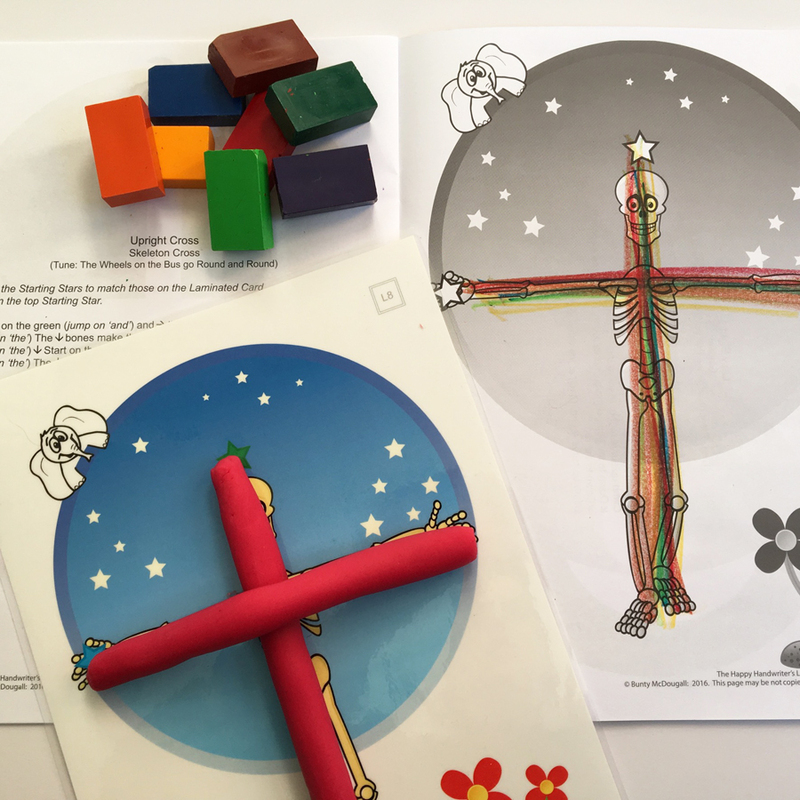 Your child first has the opportunity to “draw” the lines in the air while keeping in time with the words of the Lines and Strokes songs (to the tune of the wheels on the bus.) They then to go on to build the lines between the guide lines on the laminated card, with play dough. Then, again in keeping in time with the rhythm of the Lines and Strokes songs, your child can reproduce the line by going back and forth between the guidelines in the Lines and Strokes workbook. Using first one colour and then the next, your child is given multiple opportunities to experience the motion required to reproduce the lines and strokes. The vividly coloured block crayons allows your child to focus on line reproduction without having to worry about pencil grip. This allows you to work on other fine motor actives which are essential for pencil grip foundations, while still allowing them to feel empowered by facilitating their abilities to master the lines and strokes. Children who master the lines and strokes frequently go on to show lovely improvements in their confidence in drawing, which then allows them to further develop their skills. The pack includes the sixteen A4 laminated cards, 5 copies of the Lines and Strokes book and 8 high quality block crayons that contain bees wax. 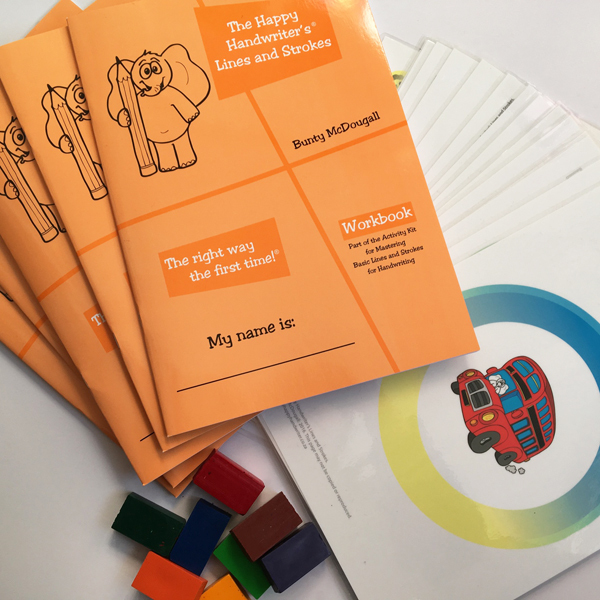 Lines and Strokes is a must for every Grade 00 classroom, every OT clinic, and the ultimate guide for the parent looking to assist their child with motor skills development.